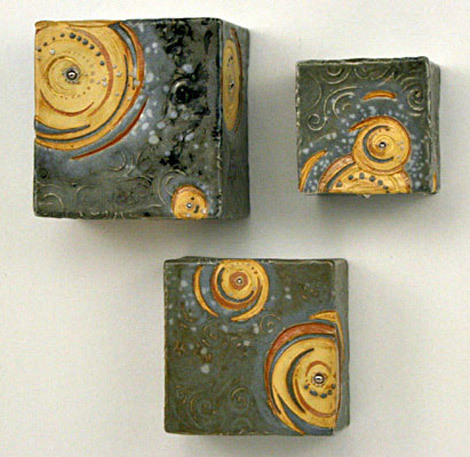 i like these earthy tones and heavy textures on the functional and decorative pieces of new mexico artist miranda howe’s collection. 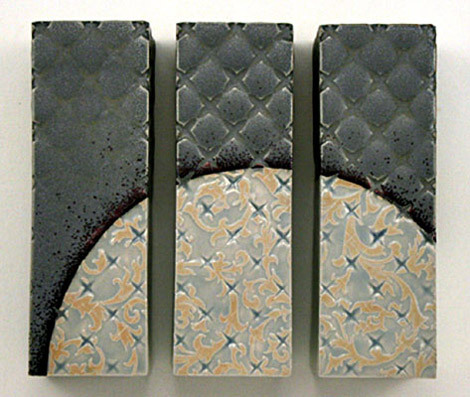 miranda’s pieces are influenced by her world travels and the rhythmic qualities of repetitive patterns. see more on miranda’s website. some of the best pottery I’ve seen in a long long time. Very cool shapes and love the chunk factor. 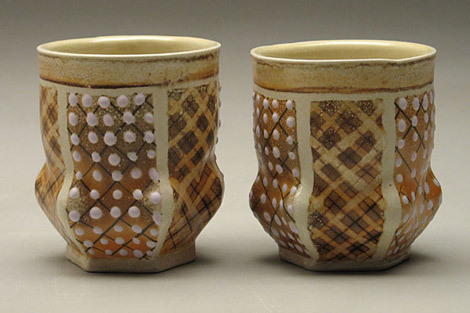 Nice design/glaze usage too. good stuff, thanks for sharing! these are so wonderful! i want to hold them all and feel those bumpy textures. definitely going on my wish list! 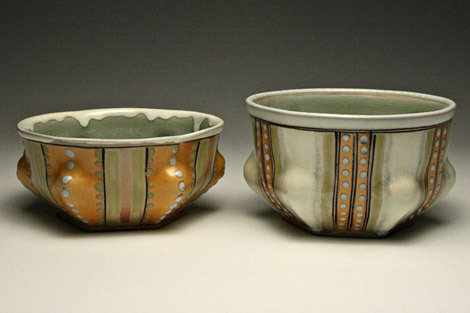 i am crazy about those lumpy bowls.